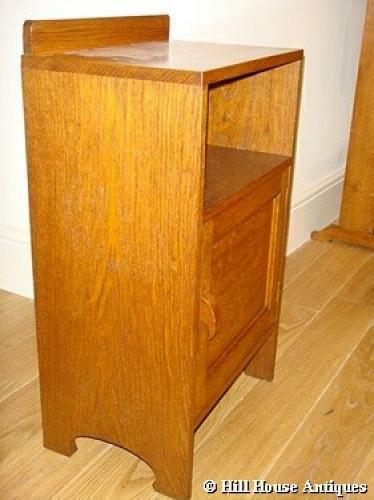 A good Arthur Simpson of Kendal golden oak bedside cabinet (labelled/stamped numbers) with open top recess section above lower cupboard; c1940s. This came from the same household as the (earlier) double bed also listed on our website. Approx 28" highest, 16" wide and 11" depth.